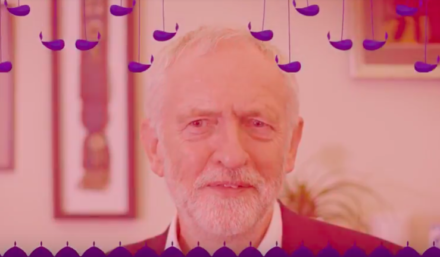 Below is Jeremy Corbyn’s full Diwali message. Happy Diwali to everyone celebrating the Festival of Lights here in Britain, and to all the Hindu, Sikh and Jain communities across the world. Diwali, or Dee Par Va Li as it’s also known, marks the triumph of light over darkness, good over evil, knowledge over ignorance, and of hope over despair. Gifts will be exchanged and sweet festive meetai will be eaten as family, friends and communities come together to celebrate humanity and togetherness; lighting deeyahs to remember how life is a cycle of renewal. We know that within our communities there are many beacons of light. People who work tirelessly and selflessly for others. Those that give us hope in some of our darkest hours, and those who instil the spirit of family in us all. We are delighted that the UK, in particular in Leicester and London, hosts some of the biggest Diwali celebrations outside India. It is a truly joyous celebration for all. As the fireworks light up across our skies for Diwali, let us remember to light up our hearts too – to love one another – and to care for each other. To renew the true spirit of community and togetherness, to show that we are a community for the many, and not the few.